After a couple of years of going through a huge gear purge (around 15 guitars and 10 or so synths) I have picked up a few bits and pieces over the past few months. 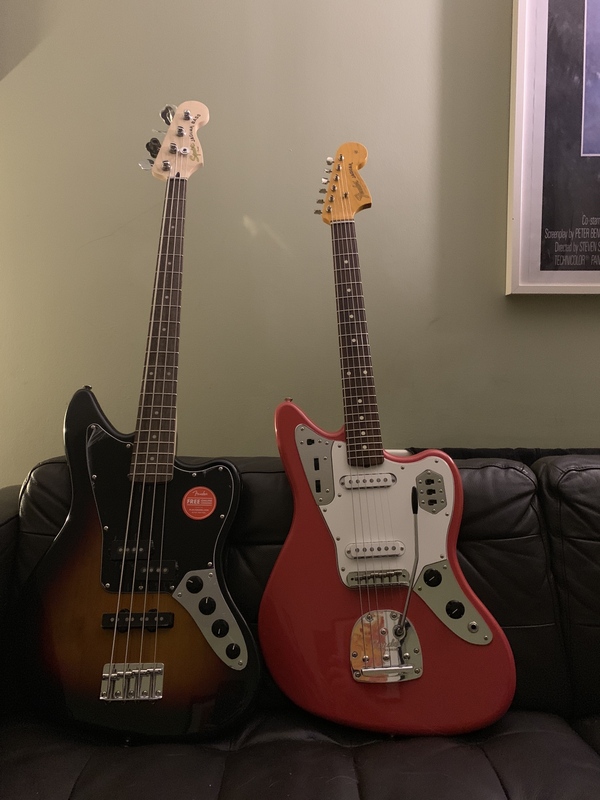 This is a couple of Jaguar Xmas gifts (the bass from the mrs, the guitar from myself). The guitar popped up used on the Guitarguitar website and I couldn’t resist. It’s a 2014/15 model so has the rosewood board so that’s a bonus to me. Build wise it’s great, the only thing i’m going to do to it is roll the edges of the fretboard. Apart from that this thing is quality. It was used, with original case, there is only a couple of tiny paint chips on the lower edge. Sadly it appears that the Fiesta isn’t undercoated with white so that’s a shame as i’m A fan of the way the whore shows through on vintage guitars. The bass is active but I intend to remove the active part (board and pot too) them relocate the jack to the front plate. the Flickr method I used to post pics doesn’t work now. Apologies for the lack of photo. It looks nice. What is the current preferred/working method for image hosting/posting? Have you got an account for the Shortscale Uploader? I think Dots can sort you out if you haven't. imgur and tinypic work great. Looking forward to seeing some images, Thom! Cheers for the Imgur tip. I managed to find the option for direct link by using the website rather than the app. I finally tracked one of these down too. The humbucker needs replaced because it’s balls. 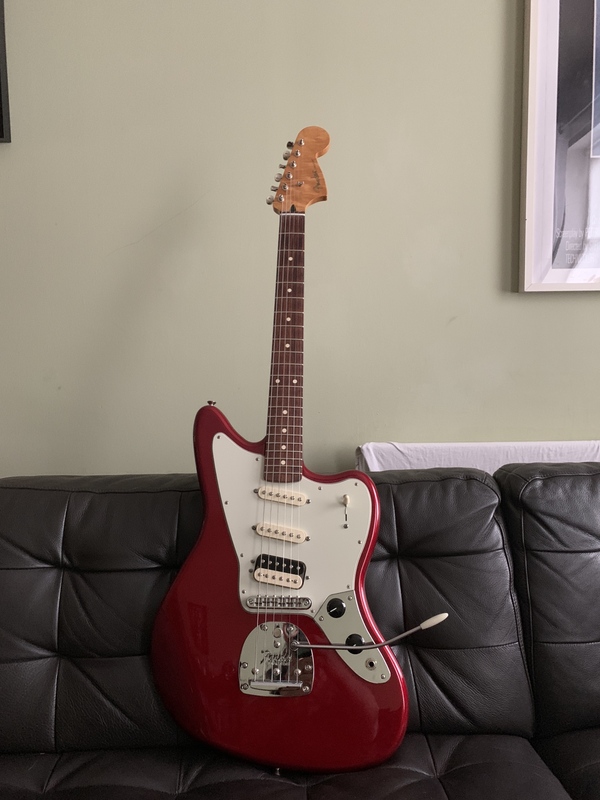 Of the 3 colours this guitar was available in the red is my least favourite, but these come up so rarely I couldn’t resist. Yeah the wonk factor is high, more uncomfortable to look at than play. I have a roller bridge to stick on it too, i’ll do that next string change.